Every October one of the world’s best athletes visits downtown Minneapolis, wins five matches in dominating fashion and leaves town with the trophy. He’s been doing it since 2010. He’s got style, charisma and humility. He’s as good with the fans as he is on the court. Yet, almost nobody in the Twin Cities notices. 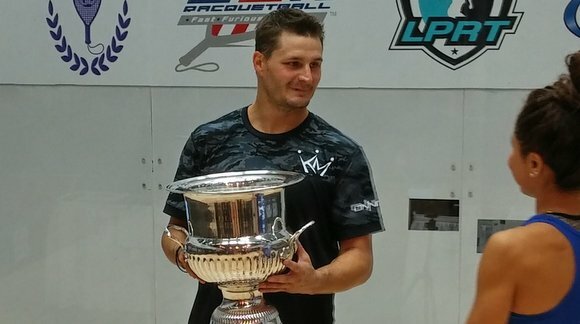 Kane Waselenchuk won his eleventh US Open Racquetball Championship on Sunday. Universally regarded as the greatest racquetballer of all-time, he’s won eight straight US Opens, including all six held at Lifetime Fitness in Target Center. His 11-5, 11-8, 11-3 sweep of Daniel De La Rosa was a typical performance. His talents are obvious – hand-eye coordination, fast-twitch muscle reflexes, shot-making creativity and of course the classics; speed, quickness and leaping ability. The Canadian born, Texas resident’s insatiable drive however, is the real secret to his genius. After doing it all and then doing it again and again, Waselenchuk consistently finds new motivations. And, like many elite athletes, he’s not above inventing them. While that belief may help him get out of bed for a grueling, early morning workout, there is nobody doubting Waselenchuk’s fitness and work ethic. When it comes to media coverage and the sport’s exposure however, Waselenchuk doesn’t need to use his imagination to feel slighted. Racquetball, despite his brilliance and star power, is ignored by the mainstream sports media. Out of a deep love for the sport, he is genuinely disheartened by his inability to change that. 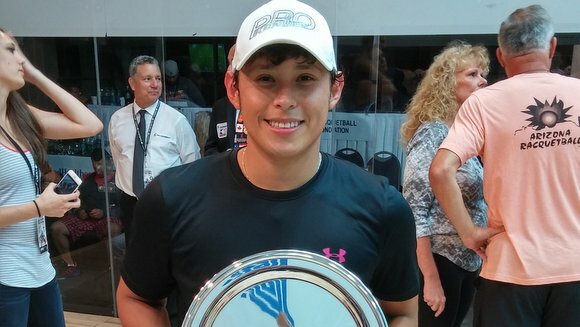 Waselenchuk’s opponent in Sunday’s final, the 22-year-old De La Rosa, has been billed as the “Future of Racquetball.” When discussing the youth of his sport, Waselenchuk comes off as a mix of reformer, advocate, sage advisor and even a bit crotchety. Waselenchuk celebrates match point Sunday. With his dominance so complete and hunger still intact, it’s hard not to speculate about the deeper, more personal aspects of his motivation. Waselenchuk hasn’t elaborated when directly asked, but when talking about his daughters, Kennedy and Kendall, he may have tipped his hand. The racquetball family is proud of you. Well said Kane! 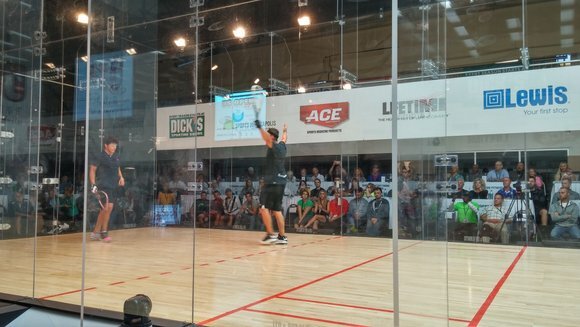 Let’s keep racquetball alive! It’s the fastest sport on the planet and definitely definitely a great sport to play!! Kane’s dominance of racquetball is so amazing there are not words that justify. I suggest a blockbuster movie. Although a Canadian we are honored to now call him a Texan. Watch him play live before he retires. I love the dominance that Kane is showing. Had a very great view, 6 feet behind the center glass right behind the door, of a match against Rocky Carson where it took the full 5 games. That has not happened many times where Kane has not simply walked out at 3 games. Kane was exhausted but didn’t hesitate to sign some racquetballs and posters for our boys. Go and search for some videos and watch the “greatest racquetball player”!! Previous Previous post: They are the Champions Again!